http://www.vimeo.com/105452772 Located at the La Kantera Skatepark above Arrigunaga beach in the Abra Bay of Getxo, Spain, the finals for the first annual Volcom Bowl-A-Rama Gexto entertained a packed house of bowlriding enthusiasts and fans yesterday. Congrats to Pedro Barros and Pat Ngoho of their first place awards in the Pros and Masters divisions respectively! Be sure to have a look at the highlight reel. Pedro Barros, the Brazilian powerhouse, has stuck his claim on the world of transition skating, from vert ramps to cement pools, Barros is nearly unstoppable! He wasn’t always that way, though. As a child Barros skated everything from the trannys to the streets, he also has dedicated a ton of time to surfing and it has clearly paid off. Visit Pedro Barros’ home in Rio Tavares, Brazil, check out the R.T.M.F. compound, see him surf and watch him give back to his community here in his Alli Show! 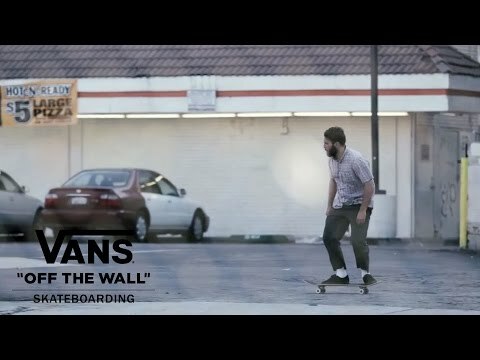 Vans brings the world’s greatest skateboarders to Canada this week with skateboarding’s premier bowlriding competition, the celebrated Van Doren Invitational to be held at Vancouver’s legendary Hastings Bowl on July 11th & 12th. Top skaters from around the globe will battle it out before a live audience for top honors and their share of US $75,000 purse This event will be presented as a live webcast on Thrasher Magazine on Saturday, July 12th for everyone to view.